Effective may not sound like the highest compliment. But it is in the world of Parker, the professional thief created by Donald E. Westlake under the pen name of Richard Stark. 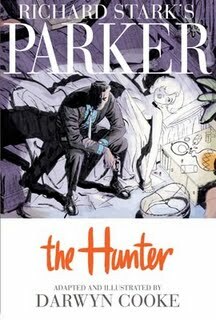 And the new graphic novel adaptation of The Hunter by Darwyn Cooke is brilliantly effective. Cooke’s clean, dynamic art, rendered with a sharp eye for early ‘60s detail, suits Stark’s stripped-down prose perfectly. The result is the best interpretation of the character to date, and that includes the two cinematic versions of this book. It’s a potent moment when Parker finally raises his face to a mirror and we see his grim Jack Palance mug. But it’s the blank eyes of the wife who betrayed Parker and left him for dead that fully reveal the power of Cooke’s style. 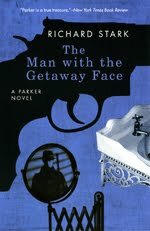 Reading the comic triggered a hunger for Stark in pure form so I read the second entry in the series, 1963’s The Man with the Getaway Face. (Cooke’s take on this book will be published next summer.) Parker’s gotten plastic surgery after the events of The Hunter. Desperate for cash, he signs on for a heist that he already knows comes with a double-cross. His only hope is to beat his supposed partner to the punch. But there are unexpected complications, including one involving Parker’s new look. Do I even have to tell you it’s good? Elsewhere, critic Paul Matwychuk goes on a Parker roll, watching three movies about the character in a row.